Shire Large Plastic Storage Cupboard with Shelves and Broom Storage: The Large Plastic Storage Cupboard by Shire is a wonderful outdoor building, perfect for storing all types of tools and equipment. 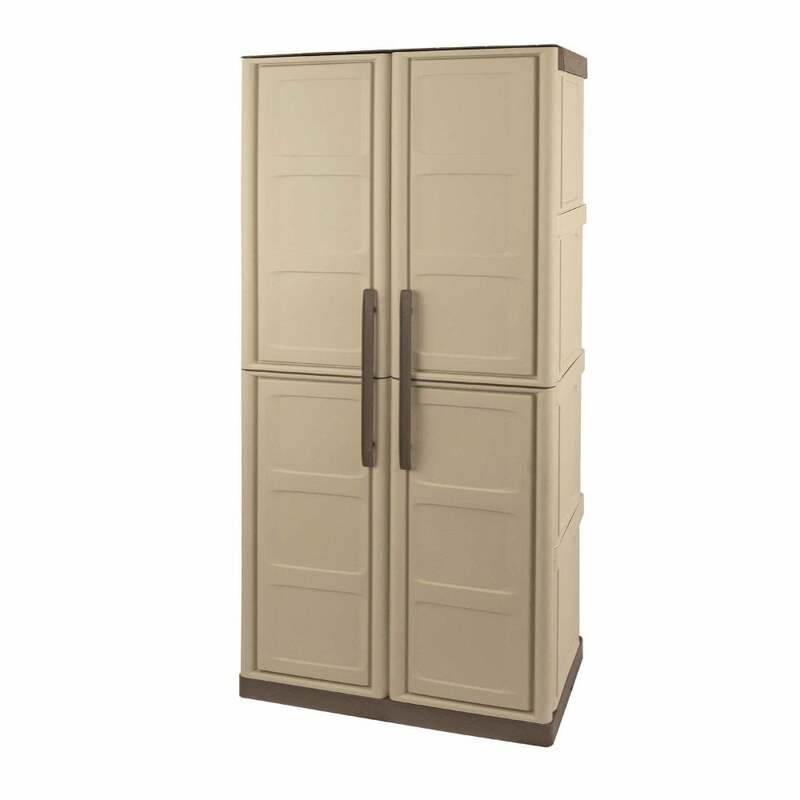 The Shire Storage Cupboard is made from a durable polypropylene construction which is resistant against oils and solvents and features a smooth low maintenance, easy to clean design in a cream and taupe finish. The Plastic Store features a full height section for storing tall items such as mops or brooms and three shelves on the other side to store your tools and smaller items.